Millions of dogs are euthanized in shelters across the United States every year because there is not enough space to keep them longer than a few days. Unfortunately, for the majority of senior dogs and those with physical disabilities or behavioral issues, shelters have to prioritize more “adoptable” animals. However, more and more no-kill shelters pull “unadoptable” dogs from kill shelters and give these equally deserving animals a second chance. We spoke with shelter director Tasha Giacomazzi at Family Dogs New Life Shelter in Portland, Oregon, to learn all about the 501© (3) shelter’s lifesaving efforts and unique canine housing system. Tasha explained that Family Dogs New Life Shelter’s mission is to save as many dogs from euthanasia as possible, regardless of age, breed, or background. The dogs come principally from high-kill shelters and animal control agencies across the state, but the shelter also works with smaller rescue groups nationwide. Tasha said usually between 35 and 50 dogs are at the no-kill shelter at all times, but she unfortunately must limit the number of animals to continue providing the best care for the shelter’s residents for as long as it takes to find them a perfect new home. For the dogs who do find themselves at Family Dogs, life quickly becomes all about freedom and socialization. The dogs are allowed to play in “packs” of eight to 20 animals in an environment that resembles more of a dog park or doggie daycare than a typical shelter. Tasha said that letting the dogs play and interact freely all day allows the staff and volunteers to evaluate their personalities and behavior more easily, provides necessary socialization skills, and alleviates the stress that normally comes with being in confinement. And by training the dogs to sleep comfortably in their own crates at night following a full day of play, she said that the transition into a new home is much easier for them. 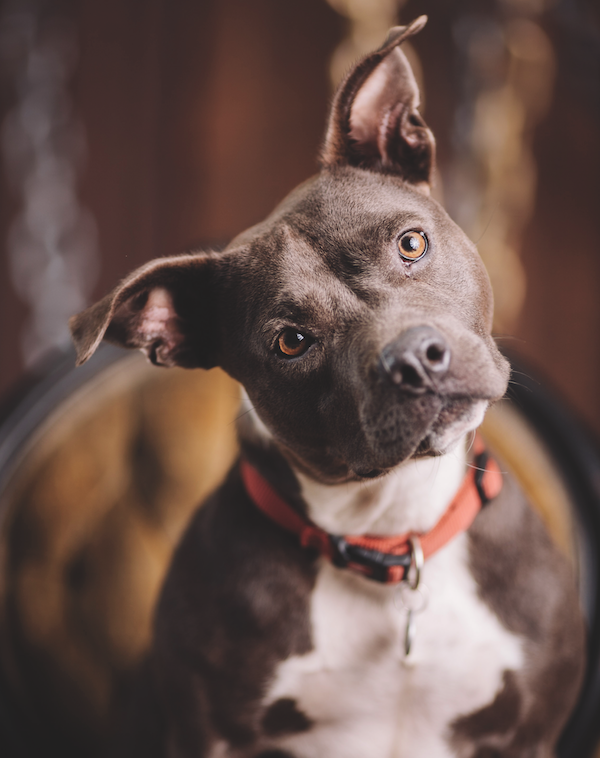 The shelter strives to take in animals that are often overlooked in traditional shelters because of age, physical, or behavioral issues, and breeds that are victims of negative stereotypes, such as Pit Bulls. To address and help overcome the public’s negative view of Pit Bulls, Family Dogs has created “Piteo Programming.” Each new Pit Bull that comes into the shelter stars in his own “Piteo” (Pit Bull video!) to highlight the positive qualities of the dog and the breed and encourage potential adopters to see past the stereotypes. “We have seen wonderful success since incorporating our Piteos! On average, our Pitties are up for adoption for only four days before being adopted. Prior to our Piteos, the average length of stay in our care was triple that,” Tasha said. Family Dogs New Life Shelter hopes to purchase a larger facility in the near future to save more dogs and provide an even better fit for these special dogs’ needs. The shelter is always in need of donations, volunteers, and fostering. Faith came to Family Dogs New Life Shelter from the streets of Tijuana. 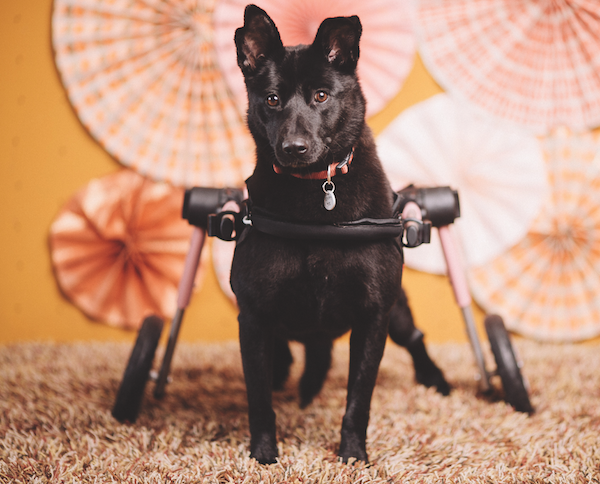 The little black dog had been hit by a car and left paralyzed and struggling for months before a Good Samaritan took her in and sought out a rescue group. When Faith arrived at Family Dogs, she was fitted for a wheelchair, “You could just see her joy and happiness when she was able to ‘run’ and play with the other dogs. She became one heck of a fetcher!” Tasha said. Faith found a new forever home after two months at the shelter and has a canine brother in a wheelchair, too. Top photo by Bob Libby. The post Family Dogs New Life Shelter Gives “Unadoptable” Dogs Time to Find Their Forever Home appeared first on Dogster.